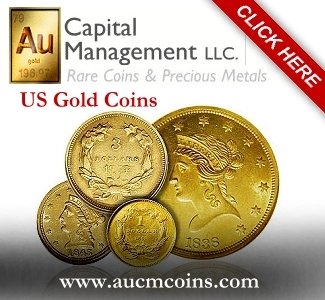 By Charles Morgan and Hubert Walker for CoinWeek.com ….. Here on CoinWeek, Louis Golino reported on the recent release of the Australian Wedge-tailed Eagle high relief one-ounce silver and gold proof coins by the Perth Mint. 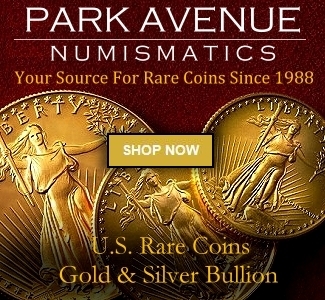 The bullion coins are being offered for sale in the United States by The New York Mint on their website govmint.com (no affiliation with the U.S. government or the United States Mint), and can also be found through the Perth Mint’s Australian distributors. Ultimately, they’ll be available online at numismatic marketplaces such as eBay or Great Collections. The coins are the first designed by former Chief Engraver John Mercanti since his retirement from the United States Mint in 2010. Recently, Charles had a quick chat with John Mercanti to ask him a few questions we’d like to share with you on how this project came to be and what the design process was like. John, how did this program come about? Well, I met with the Perth Mint’s wholesale manager Neil Vance in Austin, Texas in early 2013 to discuss a possible project. 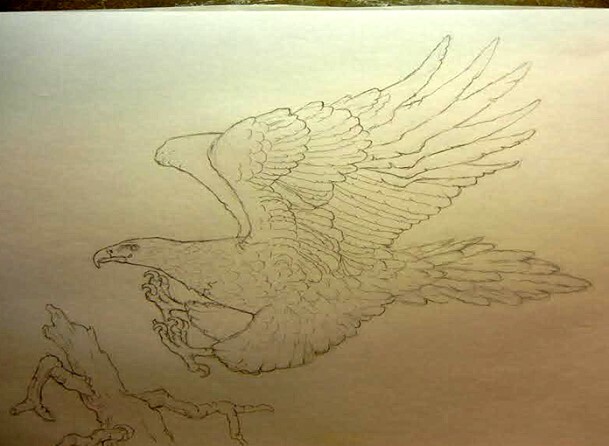 Neil had proposed the idea that I do an eagle design for a bullion coin. A motif you are well familiar with. Yeah, I had done and seen a lot of eagles. So, I talked with Neil and the Perth Mint’s Art Director to discuss the specifics of the coin and the technology that their Mint had at their disposal and got to work researching the eagle. So, I take it the next stop was the Internet. Exactly. I looked through a lot of pictures and saw that the bird has a prominent wedged look when it flies. There were a number of images where its wings were splayed and its plumage was fully articulated and I knew I wanted to do something with that because it would strike up well on a coin. Did the idea of having the eagle land on a stump come from one of the pictures you found? Actually, no. But let me back up. Originally, I did two rough drawings. One had an eagle flying in the air with its wings splayed. The second one, the one they picked showed the eagle coming down for a landing. The first design I did sort of as a back-up. I really wanted to do the design Perth selected. I saw a few images of the Wedge-tailed Eagle landing, but as an artist you don’t want to copy someone else’s work- you have to make the idea your own. You have to interpret the way the eagle flies and make it interesting. Also, I had never really seen an eagle landing on a coin. Mercanti’s rough sketch of the Wedge-tail Eagle landing © 2014 John Mercanti. Photo used by permission. I really like the way your landing eagle turned out. Each of the feathers really stands out, yet it’s quite angular and fierce looking. Thank you. I like the majesty of the wings. Showing off that feature, I think interprets beautifully numismatically. Did it take you a long time to put that design together? Not too long. I did a sketch and a couple overlays and was really happy with it, so I submitted them. I figured that there were going to be a number of recommendations and changes, you know, since this is a government agency I’m dealing with. But no. They said they liked the flying and landing eagle design. So, I said, Ok, I’ll redo it and give you a finished drawing. They said “No. We’ll use your rough (drawing). No need to finish it”. Then you made the plaster and the design was transferred digitally? Yes. I made the plaster within the confines of their specifications for relief and sent it to them in two pieces using FedEx. It took a week to get there but arrived undamaged. They loved the model and scanned it digitally making no adjustments. Everything was pitch perfect. Yeah. When I was out in Chicago at the ANA show last August. Neil Vance was there. He had a smirk on his face and I’m thinking, Oh God, they didn’t like it. And so, he pulls the silver proof out of his pocket and says, I can’t let you keep it but I wanted to show this to you. It looked amazing. They did a wonderful job with it. Did you get any feedback from your former colleagues at the Philadelphia Mint? I haven’t heard anything from anyone specifically, but I did hear that Perth sent them a write-up about the coin, telling them of my involvement. So I know they know about it. Last question. Are you signing PCGS labels for the coin? Yes. I’m going to be signing some labels. I don’t know how many- but I think the silver coin is low mintage and I’ve heard it’s selling out. Well, thanks for chatting with me and good luck with the program. Thanks Charles. Take care now. Previous articleThe Coin Analyst: Lackluster Girl Scouts Coin Demand Shows Need to Reform U.S. Commemorative Coin Program. Having received a Wedge-Tail Eagle from Dowines on January 3th. Thank you,it adds interest to learn the history behind a coin’s design. The Perth Mint, John Mercanti and technology have combined to create a coin that, I believe, will in Thomas Jefferson’s words “Command it’s own accent” in numismatics.